India’s vulnerability to high energy prices has been more than adequately revealed in the past few years. In June of this year, in the first weeks of the new government, a barrel of Brent crude oil cost $115. 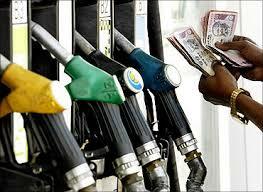 Since then, prices have fallen over 10 per cent; Brent crude now costs about $102 a barrel. Just as high energy prices were a crucial element in India’s burgeoning current-account and fiscal deficits since 2007, a steady and permanent decline in oil prices would aid India in returning its twin deficits to a sustainable path. The 2014-15 Budget set aside Rs 63,500 crore (Rs 635 billion) for petroleum subsidies -- not including rollovers from the previous year, which might be over Rs 30,000 crore (Rs 300 billion). It also targeted a fiscal deficit of 4.1 per cent of gross domestic product. It is believed that the petroleum-subsidy calculation was made assuming that the international crude oil price would range between $105 and $110 a barrel during the year. Cheaper oil would reduce the subsidy burden, according to some estimates, by about 11 or 12 per cent, giving the government some crucial wiggle room. What will the government do with this wiggle room? It is vital that it should not use it simply to fund other parts of the Union Budget. Instead, the decline in the price of oil should be treated as a window of opportunity, allowing for permanent reform of the pricing mechanism. a litre, and might well go to zero before the end of this year. The time has come for the government to simply declare an end to the diesel subsidy, so that future movements in the diesel price can be determined by global market factors. The larger question is whether the oil price decline is sustainable. Remember, it comes at a time when tensions have not entirely vanished from West Asia. In spite of the Islamist rebels’ initial successes in Iraq and the chaos in eastern Ukraine, supply has not so far taken a hit. The United States’ shale-gas revolution has taken a lot of pressure off the international oil market. In addition, the United States authorities have just allowed drilling in the continental shelf off Virginia; and the Mexican president has signed a historic new law that opens, for the first time since nationalisation in 1938, that country’s considerable petroleum reserves to foreign firms. Many analysts are driven to hope that the eight-year era of high oil prices is ending. However, the government cannot afford to act as if oil will become permanently cheaper. The correct way to respond is to ensure that even if oil prices head sharply upwards again in the medium term, the effects on India’s current-account deficit and on the fiscal deficit will not be the same. Oil subsidies must, therefore, end.